You’ll receive a wide range of images covering the entire property, inside and out. From the front to the kitchen, the lounge to the bedrooms, and the bathroom to the pool, you’ll have it all with this Standard-20 photo shoot. You will receive all of your images sized for easy upload to the MLS and sharing in your online marketing campaigns plus High Resolution images for use in your print marketing. You won’t need to wait long to start your marketing campaign, as we promise to have your photos back to you within 48 hours! 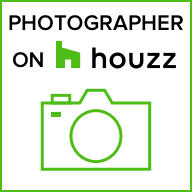 You’ll be confident when you work with Northern Virginia Real Estate Photography, knowing that all of our work is covered by our 100% Satisfaction Guarantee. If we get a shot wrong, we will fix it or reshoot it, and if we can’t get it right you simply hand the photos back and pay nothing. Please feel free to call or Email us anytime with any questions you may have or to book your shoot today!